mht2htm (for win32 or GNU/Linux) is stand alone executable program. mht2htm don't use any ini file and don't store settings anywhere. Count up, count down timer and on screen clock. I couldn't find free timer that will stay above presentation so I made one. 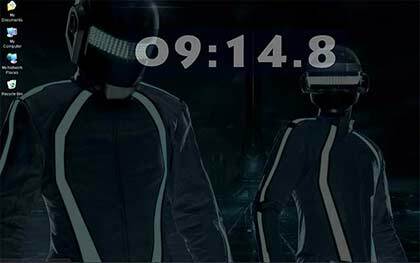 CountDownClock can count up and down an time interval or show system clock. Copyright (C) 2012 Goran Atanasijevic All Rights Reserved. 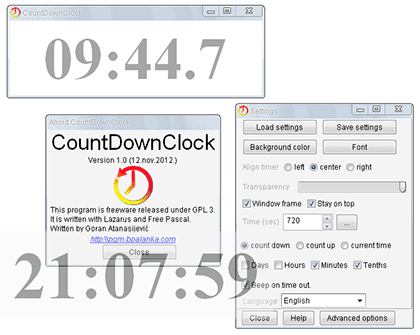 countdownclock is free software; you can redistribute it and/or modify it under the terms of the GNU General Public License as published by the Free Software Foundation; either version 3 of the License, or (at your option) any later version. © Copyright 2008. Goran Atanasijevic. SEO partner: Infinite Results SEO. Powered by Joomla!. Valid XHTML and CSS.